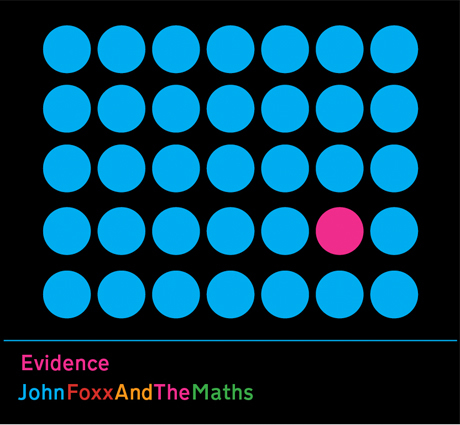 Earlier this year, one-time Ultravox singer John Foxx and his current collaborators the Maths teamed up with California post-punks the Soft Moon on a number called "Evidence." The track was released on a one-sided 7-inch back in June, but it will also anchor a new full-length from Foxx, also titled Evidence. FACT reports that the LP, which follows last year's The Shape of Things, arrives through Foxx's own UK imprint Metamatic on September 10. The Soft Moon collaboration isn't the only team-up on the 15-song set, as there are also guest appearances from electronic experimenter Matthew Dear, Brit artist Gazelle Twin, and synth duo Xeno & Oaklander. The collection also features a remix of the Dear-assisted album track "Talk" courtesy of Tara Busch and finds Foxx and his troupe reimagining Pink Floyd's "Have a Cigar." You can peep the rest of the details down below.